If you’re a Mum or want to buy a relaxing treatment for your Mum receive 20% off by booking or buying a voucher before Mother’s day. £24 instead of £30. To receive an online voucher text 20MUM to 07855 741804 or buy online. 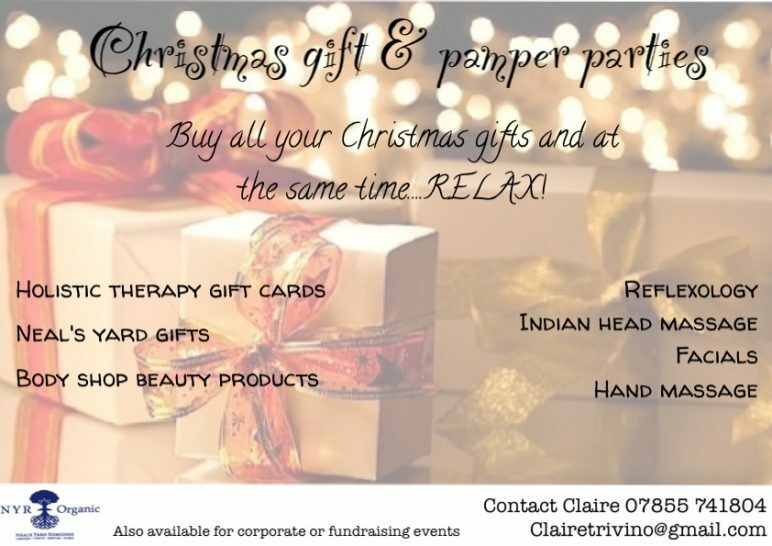 Why not treat a loved one to relaxation to well being this year. Gift vouchers available for £25 each or 3 for £60.